Wow am I late in putting this page together!! The old commercial said "Life comes at you fast!" What it doesn't say is "Life comes at you fast....and sometimes hits you right between the eyes!!" While I may not remember every little thing that happened over the weekend (this was a two day event) I sure do remember that it was HOT and HUMID! I'll start with Qualifying Day (which is also known as Saturday). 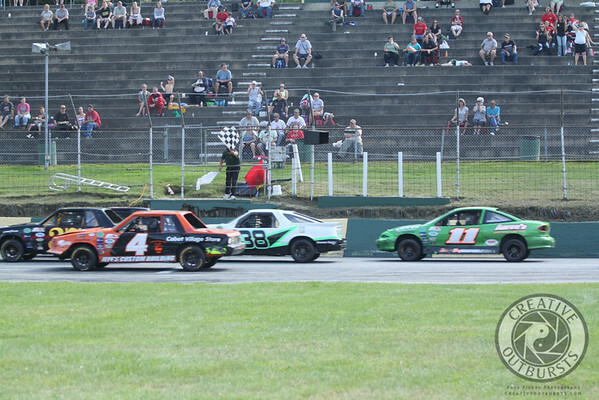 The day started with Time Trials for the Junkyard Warriors, Allen Lumber Street Stocks and Bond Auto Tiger Sportsmen. 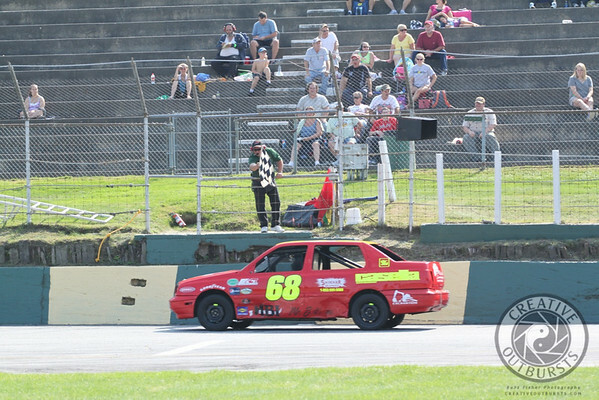 There were no Late Model Sportsmen on the track at all Saturday. I admit that I took zero photos during the time trials....basically five cars go out at a time and run for 2 minutes. Each car is timed separately and are ranked according to their fastest lap. 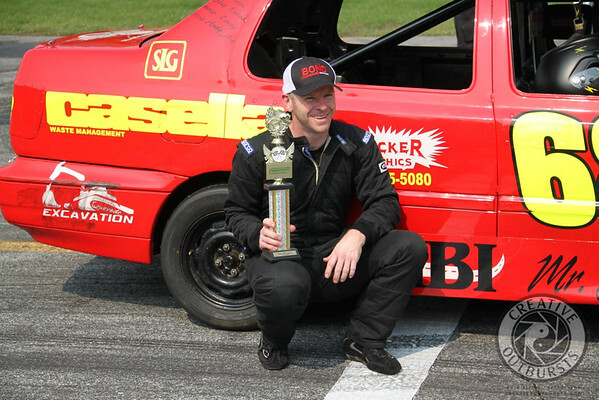 To give you the highlights.....Greg Adams turned the fastest lap in the Street Stocks with a time of 15.788 while Jason Woodard's time of 16.289 was quickest among the Warriors. Brendan Moodie had the fastest time among the Tigers (trying to track down his time). 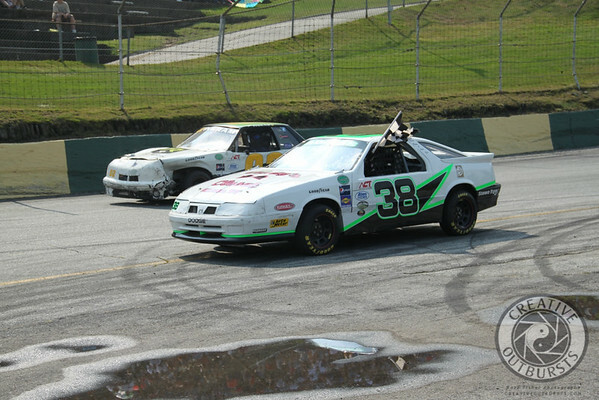 As for actual race action.....well, that started with a continuation of the Street Stock Special originally started over at Riverside Speedway in Groveton, NH. The first 9 laps had been run before Mother Nature put an end to that show....and to avoid asking drivers to haul back another day it was decided that the remaining 41 laps would be run as part of this event. 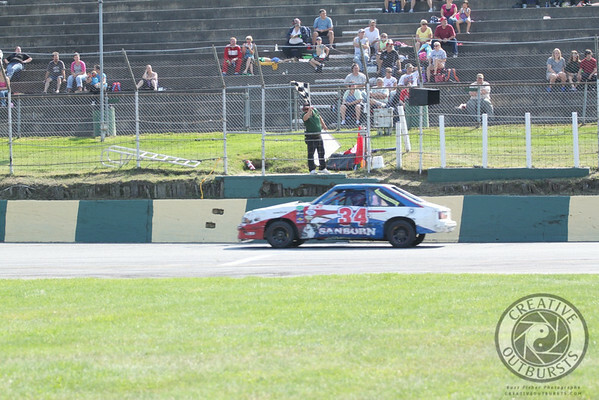 So....the green flag dropped with 41 laps to run....Amanda Habel and Alan Maynard leading the pack. Groveton veteran Nick Pillotte didn't let the change of venue stop him from grabbing the win! 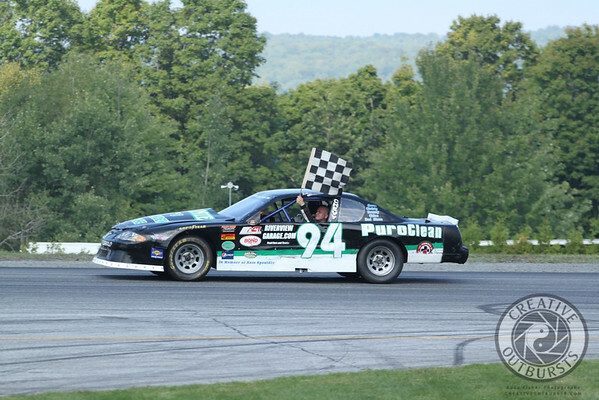 Like Moodie, Greg Adams parlayed his pole position start into a first segment win. Bunker Hodgdon are....he's sitting in the car as they try to hold the tarp down. 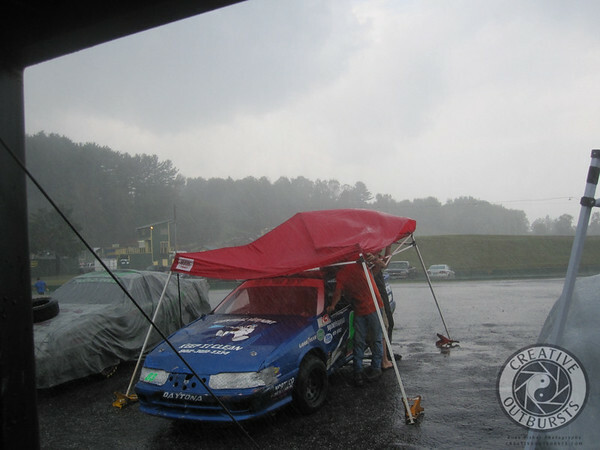 Once the rain stopped it got HOT...humidity was at about 1000%......and racing went on at the scheduled time. but it was apparent that I had to get out of there and deal with my stuff. So, under a caution about half-way through I left the infield. I have no photos of the last 100 laps.....no photos of Victory Lane. By the time they finished up I had vomited, hydrated and gotten some shade. So I went back out for the Tiger Feature. I do apologize. 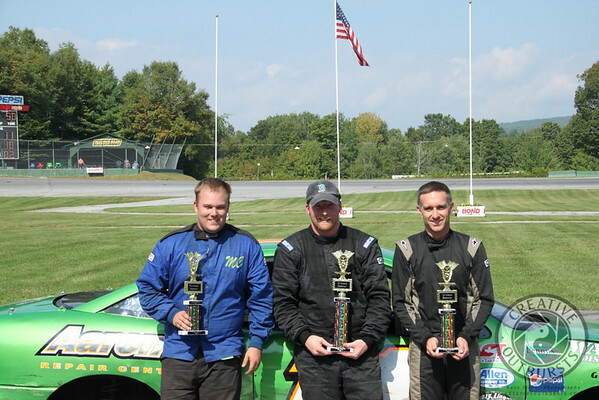 Congratulations to Nick Sweet for his impressive win......and to Joey Polewarczyk and Scott Payea for their podium finishes as well. Click here for my full gallery (351 shots) from Saturday's action! Click here for my full gallery (546 shots) from Sunday's action!